These books are truly my favourite. I actually just purchased these in the last week and they were.so.good. 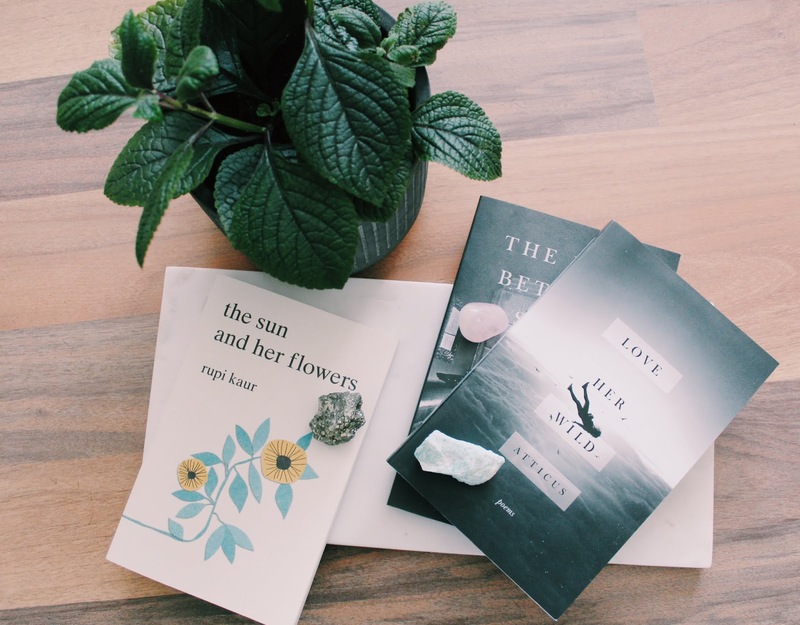 I'm definitely new to reading poetry but these books had me smiling and tearing up throughout its pages. I highly recommend. This is another poetry book that I've recently read and loved. This book is little heavier than the ones by Atticus as it deals with a lot of death, abuse and other difficult topics, but that doesn't make it any less beautiful. If you feel nervous to start reading poetry I would recommend Rupi Kaur as the first author you try out. This is a cute little pocket book I picked up years ago. It is so simple and full of really adorable illustrations through out. I love to pick this up randomly through out my week and choose a random page to read. "In our light-polluted world there are few chances to appreciate the vastness of a truly dark sky. The boundaries of our world can feel small and contracted. When neighbouring lights blaze, highlighting differences and marking borders, the boundaries of our world are emphasized." This is another book that I read quite a long time ago but I've held onto it because it's filled with so many amazing ideas and quotes to keep me motivated. 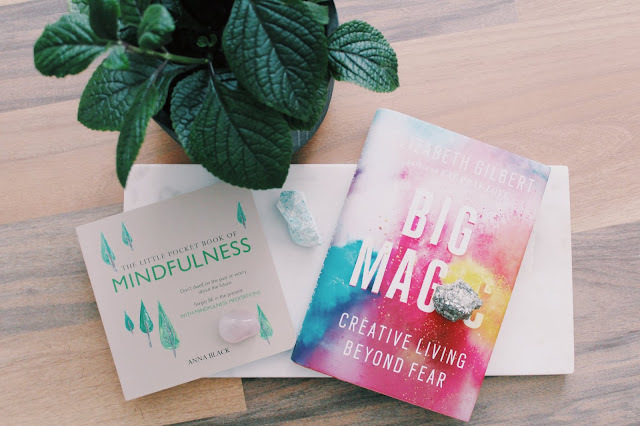 Big Magic is all about living a creative life and moving past the fear of being rejected. I highly recommend this book if you're looking for something to help you with your creativity, even if you feel like you aren't a creative person. "A creative life is an amplified life. It's a bigger life, a happier life, an expanded life, and a hell of a lot more interesting life. 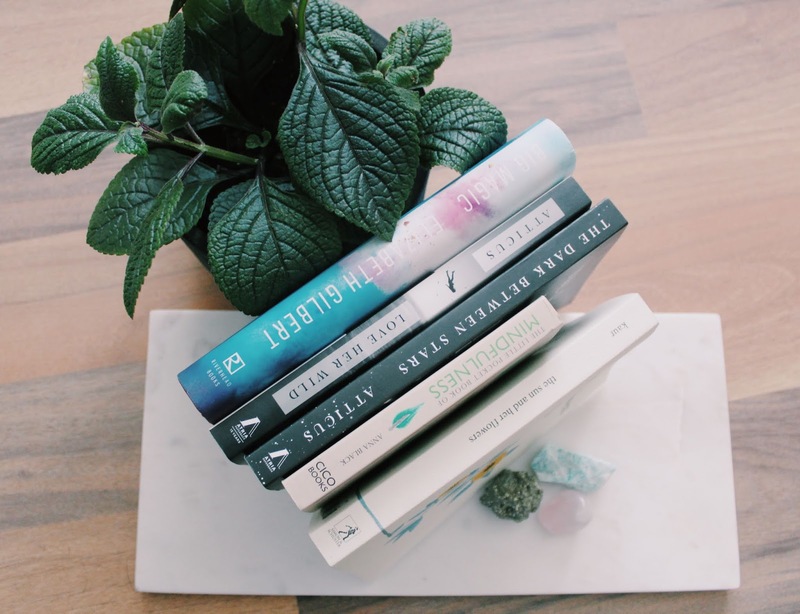 Living in this manner, continually and stubbornly bringing forth the jewels that are hidden within you, is a fine art, in and of itself"
What are you favourite books to read to keep you feeling inspired? I hope if you give these books a try you love them as much as I do. These all sound wonderful.. thanks for sharing.